Intelligent Data Science and Artificial Intelligence (IDEAI) center of UPC is opened. It is focused on research in intelligent data science, as well as in artificial intelligence. to gather data on how the Catalan road network is affected in snow storms. The new Spanish Oceanohraphic Observation Committee (CEOO) has ben established recently with the participation of the UPC, through the OBSEA underwater observatory, located in Vilanova i la Geltrú. Ten further Spanish public entities participate in this committee. Innotex Center has a textile technology laboratory for determinations of dye fastness and physicochemical studies of dye application processes. The laboratory can reproduce all industrial dye procedures at semi-industrial scale and is specialised in minimisation of environmental impact. The 20th anniversary of the UPC Programa Innova is a pioneering programme in Catalonia and Spain focused on promoting the culture of innovation and an enterprising spirit among the university community. 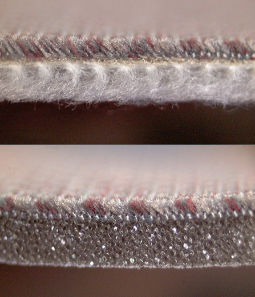 INNOTEX Center / Intexter has a differential scanning calorimeter (DSC) device to determine the microstructure of textiles and synthetic fibres in particular. 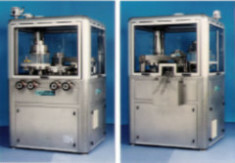 The Center for Structural Integrity, Reliability and Micromechanics of Materials (CIEFMA UPC) and the Biomaterials, Biomechanics and Tissue Engineering (BBT) group of CREB UPC have nanoindentation equipment to undertake instrumented indentation tests to determine the mechanical and tribological properties of different materials on a small scale. The Biomechanics area of the Research Centre for Biomedical Engineering (CREB UPC) has analysed the movement of arms of basketball players from FC Barcelona B to improve their effectiveness at shooting the ball through the hoop. In the study, musculoskeletal models were used to compare angles, speeds and joint torque. The Laboratory of Acoustics and Mechanical Engineering (LEAM UPC) carried out a study of the vibration impact of works to extend Line S2 of the Catalan Government Railways (FCG) that runs between Plaça Catalunya (Barcelona) and Sabadell. The extension of the metro of Vallès in Sabadell was opened in spring 2017, with 3.7 kilometres of tracks and three additional stations. 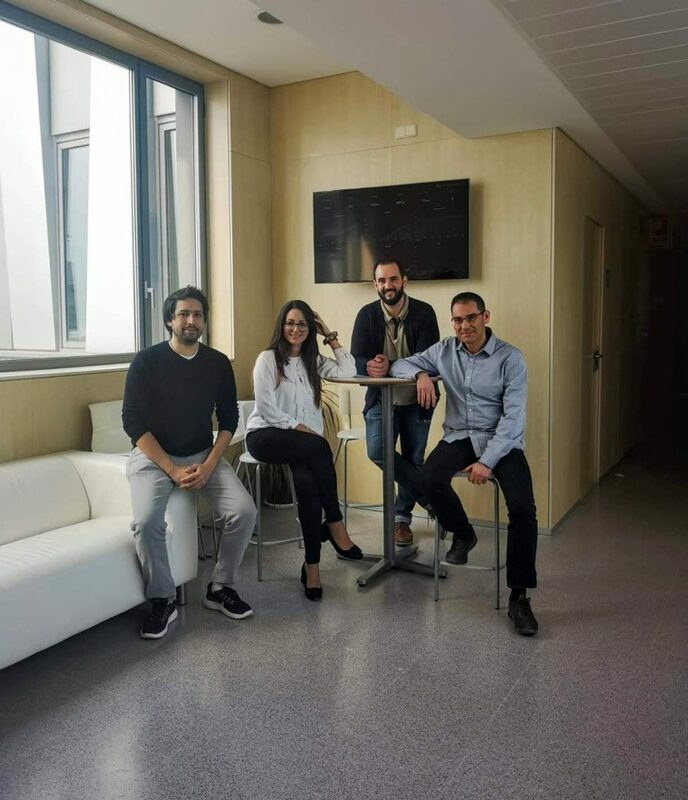 inLab FIB UPC ha realitzat, dintre del projecte Virtual Mobility Lab (VML), la primera modelització multimodal detallada de la Primera Corona de l’Àrea Metropolitana de Barcelona que integra tant l'oferta de tots els modes de transport públics, com el vehicle privat i la demanda de mobilitat actualitzada. inLab FIB UPC has developed SAGIT, an IT system for academic management of the Institut del Teatre. The Institut’s academic management systems have been computerized, and the IT system is designed so that future qualifications or courses taught at the centre can be added. inLAb FIB UPC has simulated the introduction of an automated guided vehicle (AGV) fleet for the DAMM group’s production plant in Prat de Llobregat, one of the first fully automated plants for liquid bottling. The Centre for Sensors, Instruments and Systems Development (CD6 UPC) has developed a 3D perfilometry application based on fringe projection, designed to obtain three-dimensional topographies of skin. wide-field, high-resolution topographies of wrinkles and other skin imperfections can be used to assess the evolution of these features when short- or long-term cosmetic treatments are applied. When denim warp is dyed with products that contain indigo, 50–300 mg/l of the colouring is washed out in the rinsing water. This represents a loss of 1–3 kg/h in continuous dying machines, and creates a strongly coloured effluent. Innotex Center/Intexter has designed a dye recovery method using ultrafiltration techniques. The Hydraulic and Pneumatic Systems Laboratory (LABSON UPC) continues to hold the technical secretariat of the Iberian Association of Manufacturers and Traders of Hydraulic Oil and Pneumatic Transmissions (AIFTOP), which promotes collaboration between the associate manufacturers who are represented collectively before the government and public and private institutions. In 2007-2009, the inLab FIB UPC developed tooPath, the first system for tracking mobile devices with GPS that is comprised 100% of free, open technologies and data. 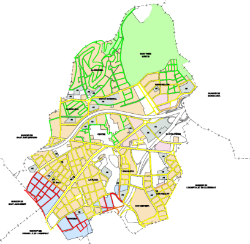 tooPath is based on open software and the use of map data that can be accessed freely, or map information that belongs to users (OpenStreetMap). The director of MCIA UPC, Luis Romeral, was the scientific director of VERDE, a National Strategic Consortium in Technical Research (CENIT) project led by SEAT and designed to generate the knowledge and technology required to manufacture and market the first eco-friendly car in Spain. Other participants in the project included the Electromagnetic Compatibility Group (GCEM UPC). 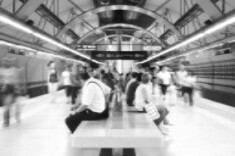 The Laboratory of Acoustics and Mechanical Engineering Laboratory (LEAM UPC) studied vibration due to the extension of Line 3 of Barcelona Metro, with new stations created in Roquetes and Trinitat Nova in 2008. On behalf of DAMM, inLab FIB UPC simulated a virtual factory for the Prat de Llobregat plant that incorporated and optimised a fleet of automated guided vehicles (AGV) to aid the planning of the scheduled daily production. As a result, DAMM could become one of the first fully automated bottling companies in Catalonia. The Electromagnetic Compatibility Group (GCEM UPC) can make in-house measurements for companies of fixed installations, as well as large machinery and equipment, without needing to move items to the test laboratories. The equipment’s conducted and radiated emissions can be measured in its usual place, to ensure compliance with Directive 2014/30/EU on electromagnetic compatibility. INNOTEX Center/Intexter UPC has developed for SEAT the first upholstery that is 100% recyclable, with 90% recycled fibres for cars. A new, non-woven 100% polyester compound was used instead of polyurethane, which is highly pollutant and toxic. The new compound has the same functions and price as materials that are already on the market. The project received the “2003 Design for Recycling Award for a recycled/recyclable product” in the category of Projects, given by the Catalan Waste Agency. In 2008, the Laboratory of Acoustics and Mechanical Engineering (LEAM UPC) carried out for Esplugues de Llobregat City Hall a study on the acoustic impact of the B-23 dual carriageway as it passes through the city, with the aim of reducing the noise that is produced by this road..
inLab FIB UPC created for Siemens a simulator of automated trains for Line 9 of Barcelona’s underground system. The simulator can be used to experiment with different traffic configurations, in order to assess the quality of timetables generated to optimize energy consumption on the line. The timetables maximize the synchronization of braking of trains with accelerations of others in nearby areas, so that the energy generated during braking can be used in accelerations. Rafel Sitjar, a lecturer and researcher at the Food Safety and Control Research Centre (CRESCA UPC) collaborated with the company JBonals SA, a manufacturer of machinery for the chemical, pharmaceutical and food sector, to develop different high-output compressors for large manufacturers of powdered stock cubes and washing powders in compressed format. As a result of this collaboration, several patents were registered and the BR680 machine was designed, which can produce up to 1400 large format and weight compressed items per minute. The Laboratory of Acoustics and Mechanical Engineering Laboratory (LEAM UPC) carried out a study of the impact of the noise and vibrations caused by the Trambaix at the Pont d’Esplugues station, in Esplugues de Llobregat (Barcelona). The study was commissioned by the Esplugues City Council in 2004, the year that the tram was opened. The Laboratory of Acoustics and Mechanical Engineering Laboratory (LEAM UPC) measured vibrations in dwellings affected by high speed railway works in the town of Prat de Llobregat in 2006-2007, to ensure that buildings were not affected as a result of the construction work. The project was carried out for Corsán-Corviam. The Calibration and Dosimetry Laboratory at the UPC Institute of Energy Technologies forms part of the Dosimetry and Ionising Radiation Area of the Biomedical Engineering Research Centre (CREB UPC) , and is one of the only one of two organizations accredited by the ENAC in Spain to calibrate instruments for measuring ionising radiation. The Computer Graphics area of the Biomedical Engineering Research Centre (CREB UPC) has developed the series “Personatges en Joc” (Prominent Figures in a Game), a multimedia collection to teach about the work, life and historical context of prominent figures in Catalan science, technology and history. It is aimed at fifth and sixth year primary students. The Structural Integrity and Materials Reliability Centre (CIEFMA UPC) has analyzed the causes of a fracture in a 3 ton industrial duplex-steel centrifuge, determining the origin and causes of it. The project envisages developing a method to measure the roughness of paper by analysing the speckle pattern on the surface. Surface roughness is an important parameter for paper and card used for printing, since it affects the amount of coating needed and the application method used. This project was developed by CD6 with the company MIQUEL Y COSTAS & MIQUEL S.A. The Multimedia Applications Laboratory (LAM UPC), has designed a process simulating a blood transfusion process (E-Blood) to increase patient safety. The project was developed in collaboration with hospitals de la Santa Creu i Sant Pau and the Hospital Clínic of Barcelona, together with the Department of Health of the Generalitat de Catalunya. Between 2006 and 2010, CITCEA UPC, in collaboration with the company CELLS, selected and tested the power electronics equipment that supplies the numerous electromagnets in ALBA’s booster ring, storage ring and transfer lines. The Hydraulic and Pneumatic Systems Laboratory (LABSON UPC) has developed a hydraulic pump and hydraulic motors to help raise a tidal surge barrier in England, which protects 17,000 homes from flooding and has been operated 33 times since 1980. The gate has a total mass of 212 tons. The project was developed in collaboration with Pedro Roquet SA. The Heat and Mass Transfer Technological Center (CTTC UPC) carried out the numerical simulation of the facades thermal behaviour in AGBAR TOWER in Barcelona to increase eficiency in ventilation and air conditioning of the building. CITCEA UPC designed and implemented a prototype hybrid external charger for municipal solid waste (MSW) collection vehicles. The Electromagnetic Compatibility Group (GCEM UPC) assessed the electromagnetic level of Hespérides, an oceanographic research boat, and provided technical advice on the installation of new equipment on board. PhD. Jaume Barceló, a researcher at the InLabFIB UPC center, advised on the development of a transport master plan to efficiently organize and manage the simultaneous movement of 60,000 vehicles (and 2,500,000 people on transport or foot) at sunset between the places of Arafat and Muzdalifah in Saudi Arabia, which are separated by 12 km. The journey is a key part of the annual pilgrimage of Muslims to Mecca. The project was based on the use of the Aimsun transport simulator, which was developed under PhD Barceló’s direction at the UPC’s Operations Research and Simulation Laboratory (LIOS). InLAb FIB UPC has studied the process of evacuating the “Sala Gran” in the Teatre Nacional de Catalunya (TNC), using a flow model that simulates different scenarios and takes into account the topology of the theatre hall. The study confirms the hall’s evacuation capacity. agario unblocked - agario - agario unblocked --. The Electromagnetic Compatibility Group (GCEM UPC) has evaluated the impact on hospital equipment of electromagnetic interference caused by the high-speed train (the AVE). The study will enable Hospital Clínic to be extended above the underground tracks of the AVE, whilst ensuring the correct operation of sensitive electromedical equipment.